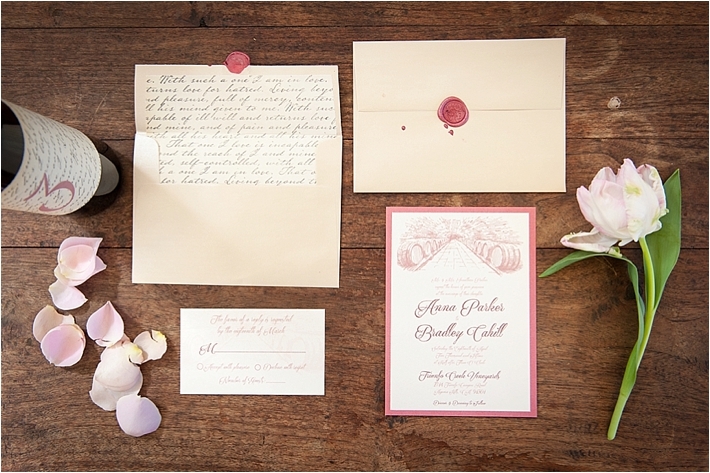 "We wanted to create an old world, vineyard/garden style inspired wedding. 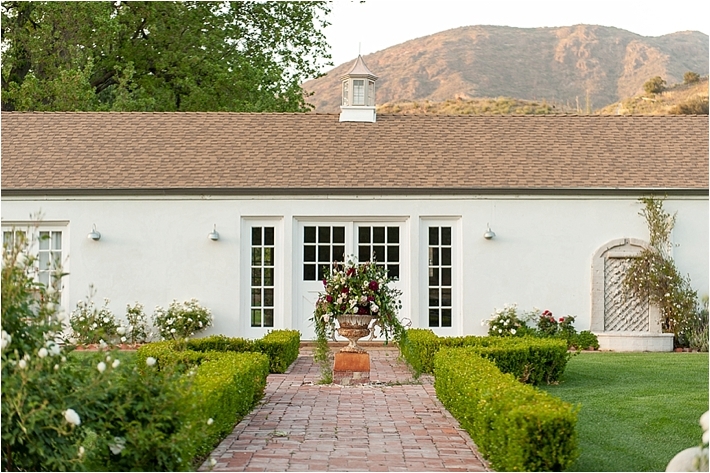 Our focus was to use marsala, the pantone color of the year, in a realistic and natural way, and we knew from the beginning a vineyard was the ideal location. 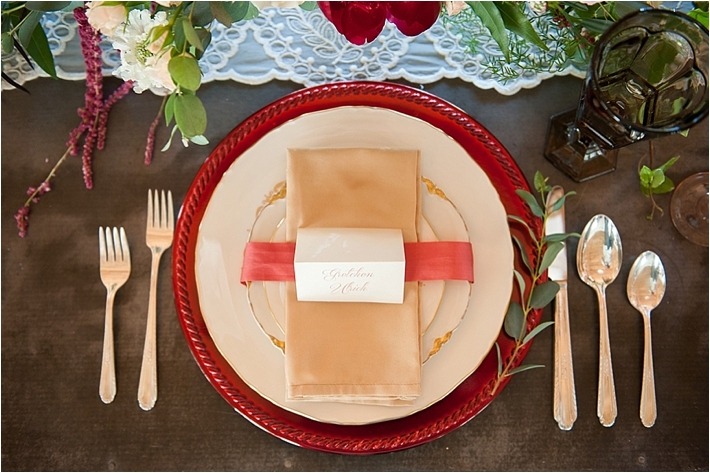 The warm tones of the farmhouse at Triunfo Creek Vineyard worked perfectly with the burgundy, marsala, and gold details. 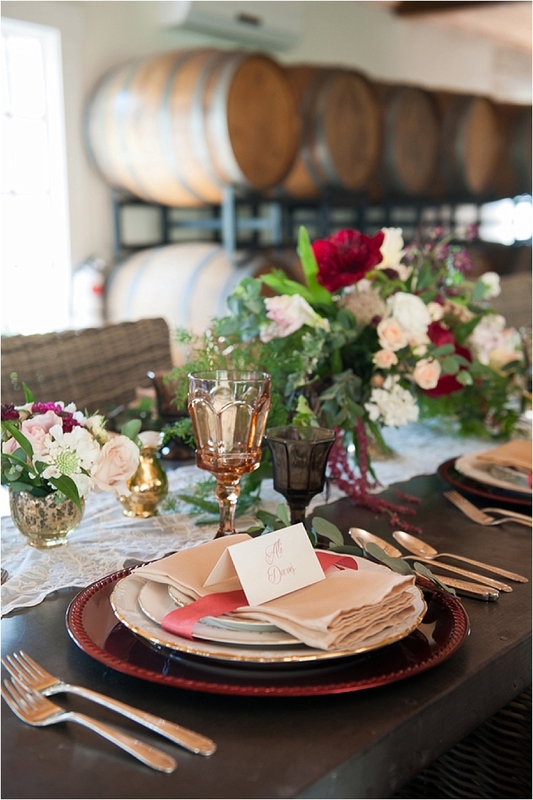 The woodwork and the wine barrels became the perfect backdrop for breathtaking and bold ideas to come to life. From the cascading florals to the bespoke wedding dress, our creative team of vendors brought so many elegant and fresh ideas to the shoot. 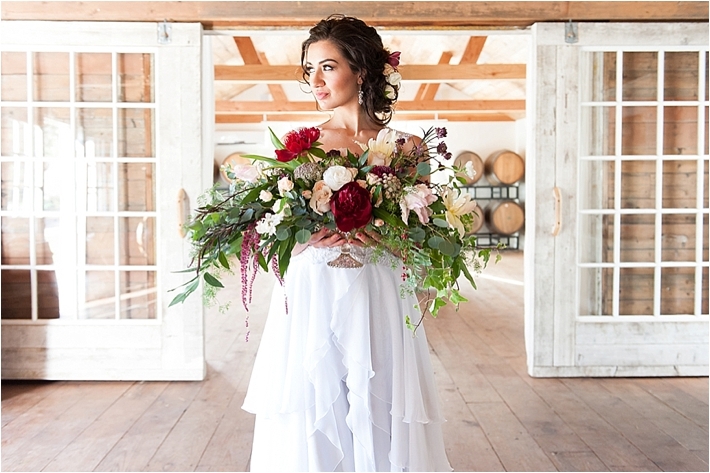 The dress is a one of a kind, custom sewn creation by Elizabeth Mackenzie Bridal. The beaded straps and bodice details atop the delicate flowing chiffon gown was absolutely stunning. 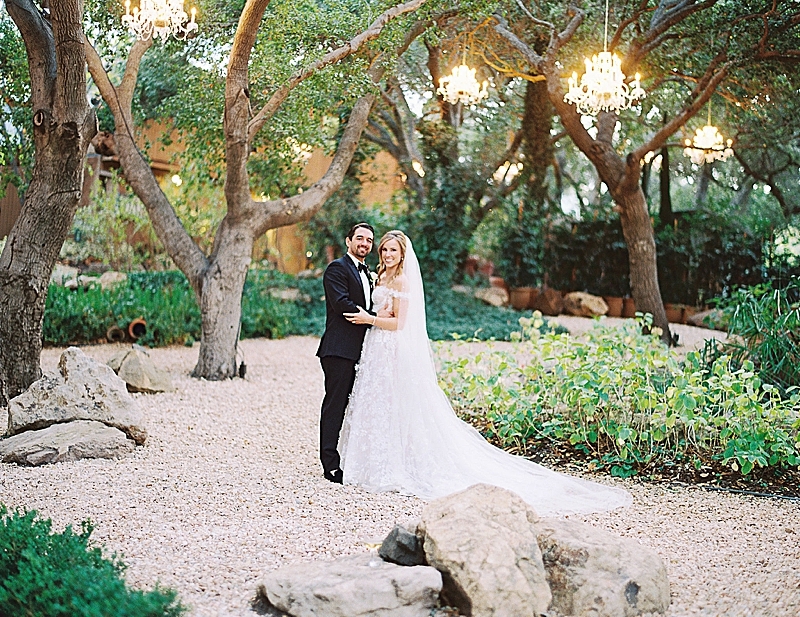 We loved how this bridal gown sparkled when illuminated with natural light. 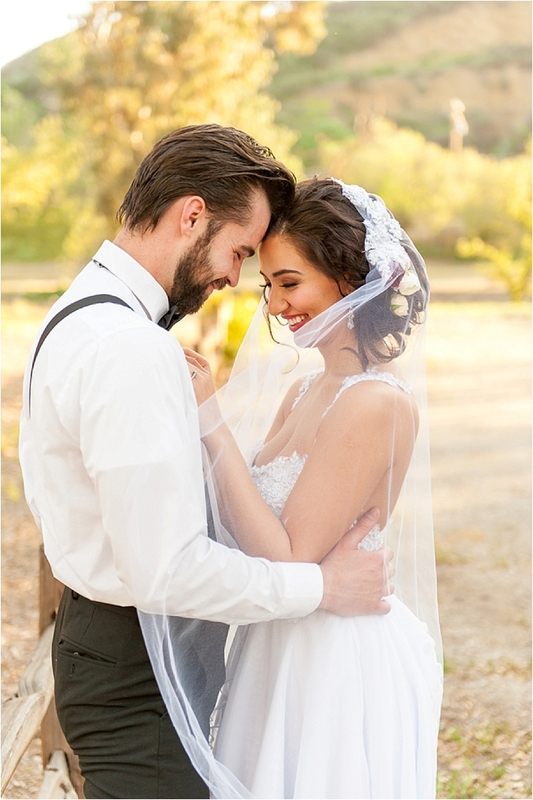 The matching custom veil completed the elegant and enchanting bridal look we were going for. 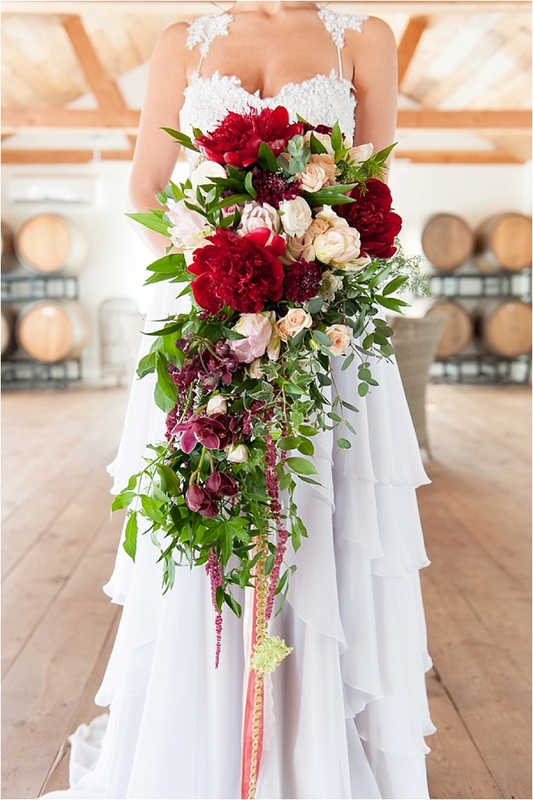 The florals incorporated the marsala tones into a bold and breathtaking garden style cascade bouquet. 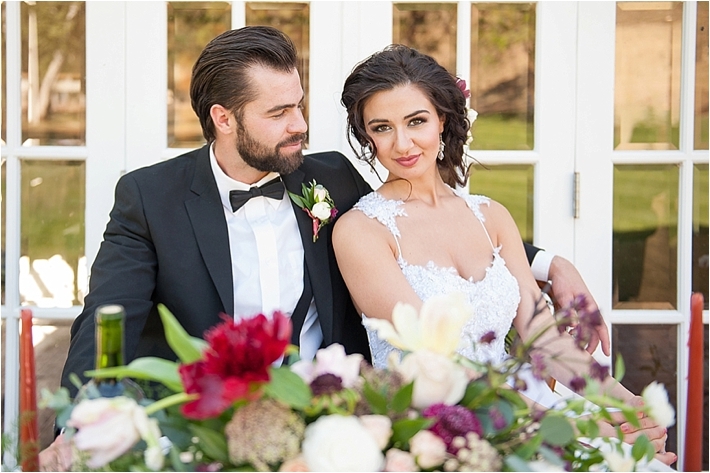 It consisted of large burgundy peonies, blush tulips, ranunculus, and peachy spray roses accented with lush greenery and vines flowing down with silk and gold ribbon streamers. 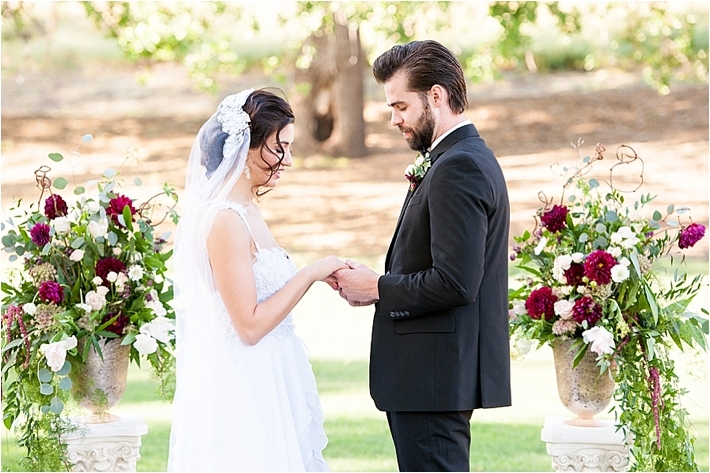 The centerpiece and the ceremony urn arrangements complemented the bouquet with their cascading styles. Ali of The Sugar Lab made a captivating garden themed cake that tied in old world elements. 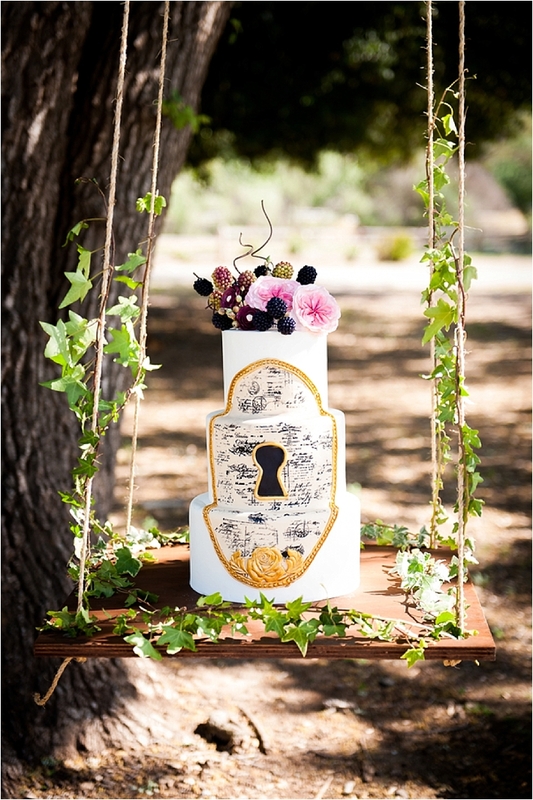 It was topped with hand rolled berries and garden-rose sugar flowers and was displayed on a suspended cake swing covered in ivy. 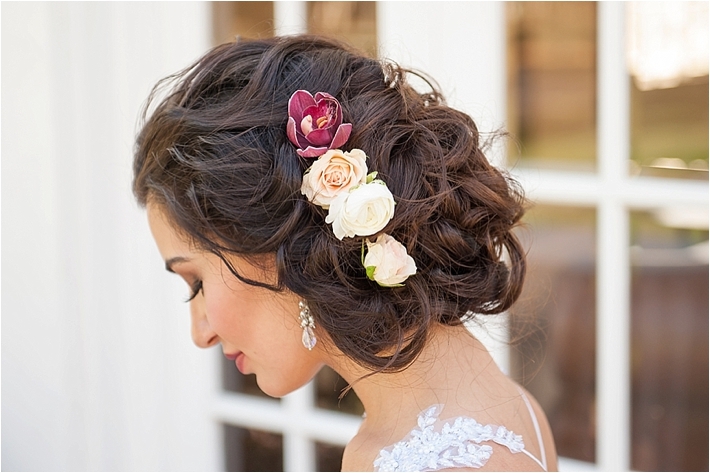 The hair and make up by Jana & Co. complemented the dress by showing off the beaded straps and creating a loose side up-do accented with coordinating flowers. 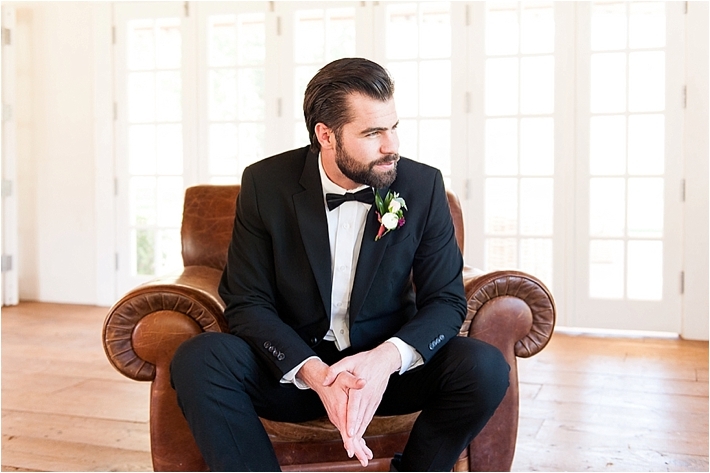 The bridal makeup enhanced her natural beauty by bringing out her eyes and lips."